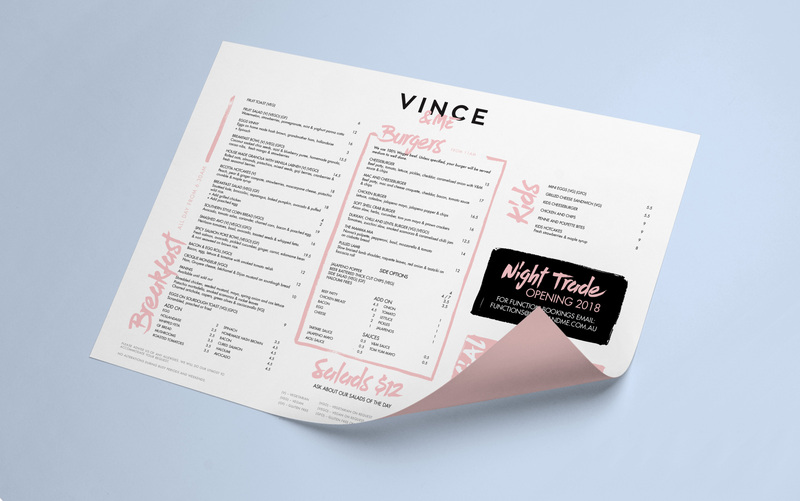 Vince & Me is Altona’s newest eatery by locals Maryanne and Vince. 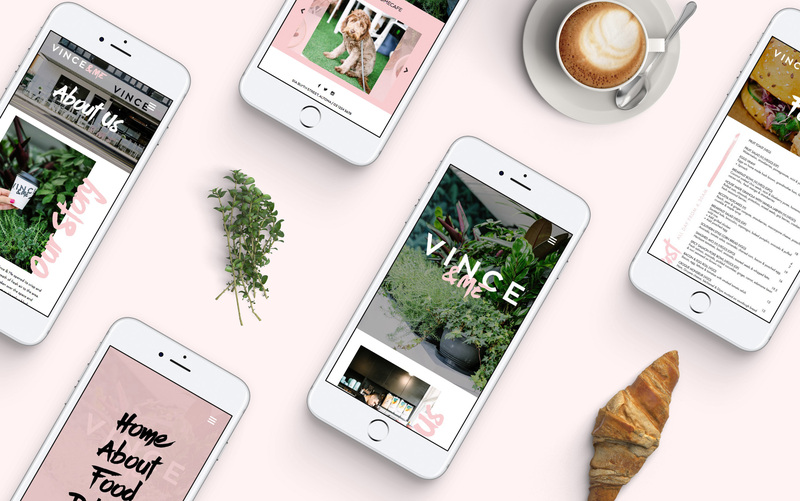 Visual Moda was tasked to create a brand identity and website that reflected beachy and personal aesthetic. We decided to explore a design that would show a contrast between the personalities of Vince & Maryanne; portraying Vince as conservative and Maryanne (Me) as a rebel with a hand brush style type treatment. 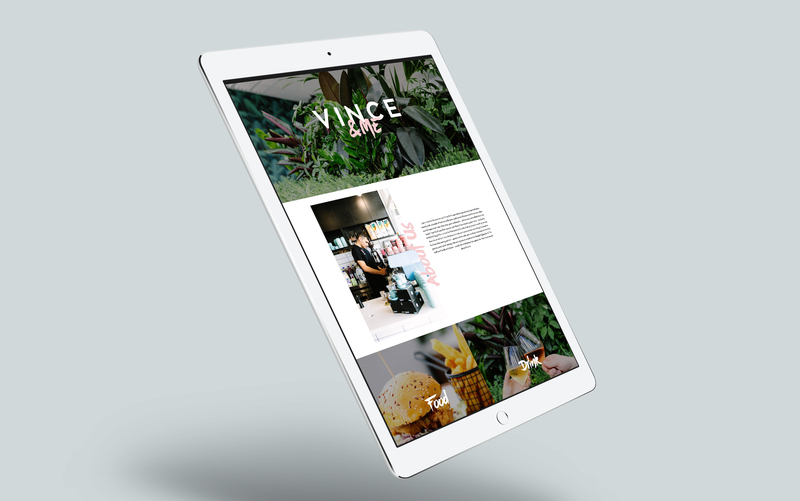 The website was designed to feature large images, to properly show case the beautiful venue, and the same brush typeface used in the logo has been used throughout for the titles to carry the personality of the brand. The website was built full responsive and with a custom content management system allowing for quick and easy updates.